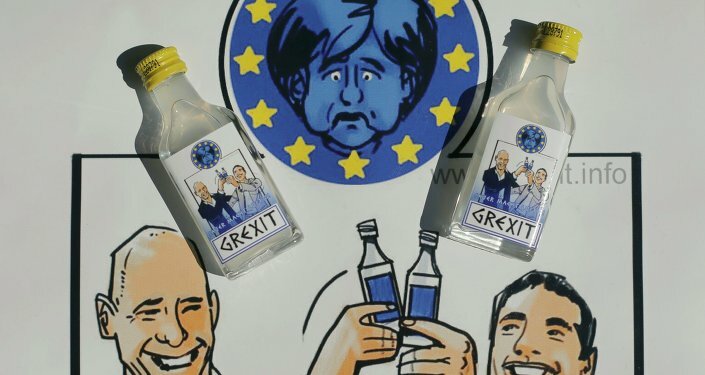 Brussels' message to Greeks reads: "Your vote is irrelevant. We would rather deal with corrupt but obedient leaders, than honest ones with ideas of sovereignty," Greek publicist Alex Andreou says. Greeks and the people of Europe need to realize that they were twisted around the Eurozone decision makers' little finger, Greek publicist Alex Andreou pointed out. "[The EU] taxpayers' money was pumped, not into Greece, but into failing banks, like everywhere else. Profit has been privatized and risk nationalized," the publicist stressed. 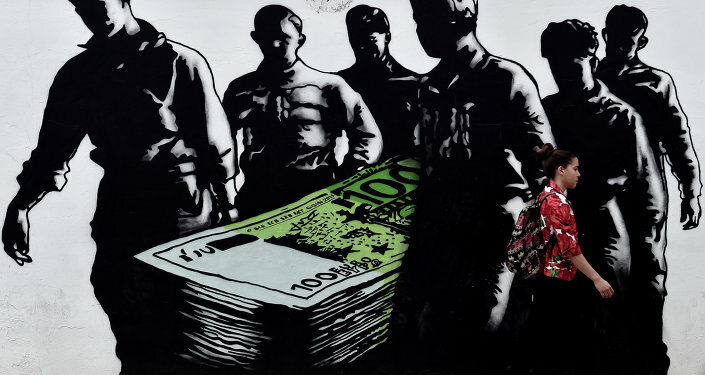 "It is not the people of Greece who have benefitted from bailout loans from the IMF, EU and European Central Bank [ECB], but the European and Greek banks which recklessly lent money to the Greek State in the first place," the analysis stated. What if Grexit Breathes New Life into Greece's Economy? However, it seems that this fact does not bother the ECB which has been "asphyxiating" the Greek economy — "the ultimate blackmail to force subordination," according to the publicist. Now major Eurozone players are "openly admitting" that their ultimate goal is a regime change in Greece and putting the burden of responsibility for Greece's crisis on the country's present government and Syriza party. "The EU's behavior over the Greek Referendum on Sunday is telling. Everyone agrees that corruption at the highest levels and chronic tax evasion were Greece's downfall. And yet, instead of cheering a government that, despite ideological differences, is prepared to tackle those things, they have employed any unconstitutional and undemocratic means necessary to overthrow it. They are actively trying to install a government formed of the very corrupt entities that stripped the country like locusts for four decades," Mr. Andreou highlighted. While Brussels is blaming Greece for the ongoing crisis it was the Troika which over-lent to the country, forcing it to take new loans. On the other hand, Athens cannot use such mechanisms as quantitative easing or devaluing their currency being a part of the Eurozone. "Greece should have been allowed to default in 2010. Default is a normal part of debt, not some monstrously catastrophic event. Germany has defaulted on its debts four times in the last century. Italy six," the publicist emphasized. Brussels is cutting its own throat by pushing Greece to the brink of collapse, Mr. Andreou noted, adding that punishing an EU member for "having done precisely as instructed," will undermine the EU prestige and will make other states feel anxious and unsafe.